Plants with more compact architecture for use in pots and / or parks and gardens. Plants with longer flowering periods and small size. The main objective of the Genetic Improvement Program of Alstroemerias is to obtain new cultivars of native flowers, in the search for the international positioning of the native Chilean flora. For this, the Program has been oriented to the development of Alstroemerias for gardens and pots, differentiating itself in this way from the varieties currently existing at an international level, mostly for cutting (floral arrangements) and of Dutch origin. Develop new varieties of Alstroemerias with native Chilean material, protecting the heritage value of the native Chilean flora. Generate new production alternatives of elite flower plants for small agriculture oriented to different markets than cutting flowers. Position new varieties of native plants in external niche markets such as garden and pot plants. Agronomist from P. Universidad Católica de Chile, Ph.D. in Plant Science, University of Connecticut, United States of America. Academic full-time of the P. Universidad Católica de Chile, specialized in the areas of Ornamental Production and Vegetable Tissue Cultivation, with special emphasis on native Chilean herbaceous species. 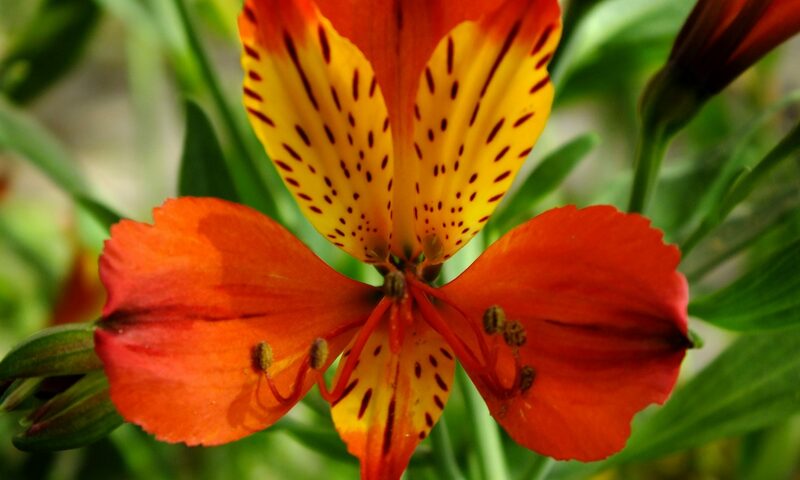 He has developed works on native species native to the desert areas of Chile, both in the aspects of propagation, cultivation and genetic improvement, as is the case of Alstroemeria. Professor Olate has a vast experience in pre and post graduate teaching, in areas related to the production and management of ornamental species, both for floriculture and for plants used in parks and gardens. He has worked as an advisor for projects and companies related to ornamental production. Currently, the program is finishing developing the most suitable protocols for obtaining new cultivars which have commercial appeal, that is, varieties oriented to pot and garden plants. So far the Program has developed 2 new varieties of alstroemerias and has 3 prototypes of cultivars to be evaluated in the 2015-2016 season. Protection is under development in the registry of plant varieties in Chile and evaluation of patenting in the United States. COPEC-UC Foundation. Pontificia Universidad Católica de Chile.